This is a gingko tree. To start a new tree, click on (top left). This is a clone of Getting Started tree. You can always remove it by clicking Tree Settings (or the title). Spreadsheets are such a powerful tool for handling numbers, that their first users seemed to have superhuman powers. There is no other tool that lets you work on the big picture and the details in the same flow. Whether it’s a project report, or your third novel, with gingko you’ll be able to write better, faster. For more detailed examples, look right →. Gingko is powerful, but it’s quite simple to use. Move Card: Drag a card from the top left corner. On the Mac, use Cmd instead. Overwhelmingly, “X” was either offline mode, or more than 3 levels. So we’ve made those our top two priorities. We also have many other features coming, which we’ve listed on the right. Set a time to gather team for brainstorming, using whiteboards or mindmaps. Email outline back and forth, till complete. Use outline as reference, write document in word processor. Switch back and forth between outline and word processor, till first draft is complete. Email draft around, till complete. Send this final giant document to whoever needs to read it. Hope they at least read the important parts. 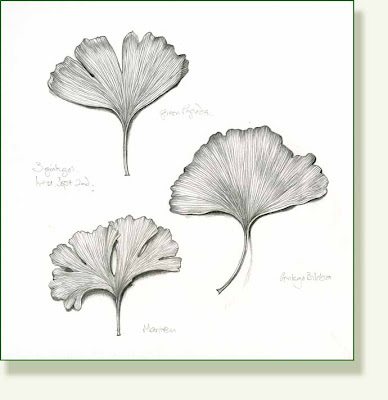 Create a gingko tree and invite collaborators. Together flow smoothly from brainstorm to outline to final document, on the same page. Share link to final organized document with whoever needs to read it. Know they will read the important parts. Determine how long the post will be. Write a 1/4th scale version in the first column. When you’re happy with card 1, create a child (Ctrl+→). Write a 1/2 scale version in the middle column. Repeat once more, to write the full-sized version in column 3. You’ll be surprised by how quickly you can write the second and third columns, once you know what you really need to say. Stick to the word count limit at each step, even if it feels restricitve. You determine first what you want to say, and then you can think about how you want to say it. * Adriano first used this method when writing a physics paper, so it’s very general. So far, we haven’t found a single case of a project big or small, where we couldn’t use gingko to help in some way. We use gingko for everything here. This ranges from 125 word blog posts, to our core development and marketing cycles. We use gingko to organize our grocery lists, recipes, planning our trips, creating slideshows, planning Adwords campaigns, and even (experimentally) as a functional programming language! Admittedly, gingko is our hammer, and we might be “seeing nails everywhere”. But we hope that by pushing the limits, we can see what needs to be added to make gingko more powerful and more useful to you. To Search your tree, press / and type your query. The search function hides everything that doesn’t match what you type in. To show everything again, just clear the search box (Esc). Since search is also a filter, you can create your own tags in any format you like. For example, @todo, or :tag. Typing /@t+Enter is a quick way to find your tagged cards. Edit this card to see how formatting works. BOLD, italic, verbatim, a link. Edit this card to see how formatting works. **BOLD**, *italic*, `verbatim`, [a link](http://daringfireball.net/projects/markdown/syntax). To invite collaborators, or to share a read-only link, click on the tree title at the top center. If you need more help, or have any questions, comments, or suggestions, don’t hesitate to Contact Us! If you’d like, we can help you organize your gingko trees as well. (formatted, HTML, one column only).